Harley’s all-new Softail family of cruisers has been big news and the radically-styled, hot rod FXDR is the boldest, brashest yet. But though striking it’s uncomfortable, no more potent and pricey, too. The new monoshocked Softails with new engines, styling and detailing, has mostly been big hits but the FXDR disappoints slightly. 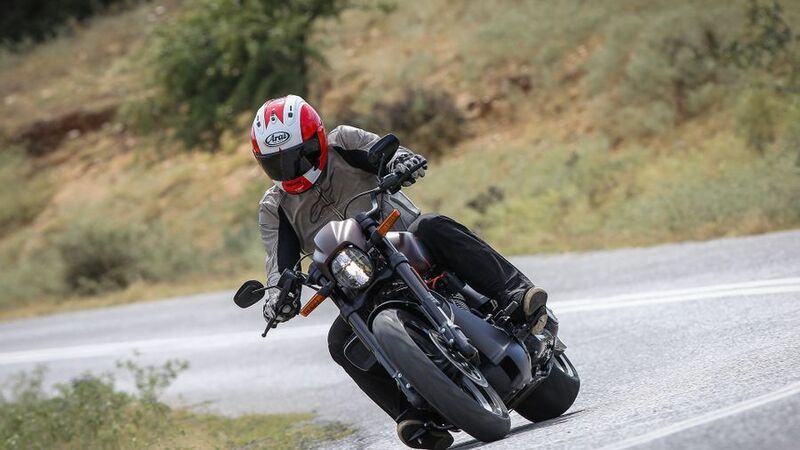 It’s great looking, yes, but the £5K cheaper Fat Bob is a far better ride. Interested in buying a Harley-Davidson Softail? The FXDR is all about image – and there’s no doubt Harley has got it right. Intended to be the most potent, performance-orientated of all Harley’s new Softail cruisers and all to appeal to a younger audience and so begin to bridge the gap to Harley’s forthcoming, all-new range of adventure bikes and super nakeds, the FXDR is lean, mean and aggressive. There’s a single seat, new, aggressive exhaust, small headlamp cowling and lots of tactile satin finishes and sharp angles. In terms of ‘look’, if you’re after this sort of bike, you won’t be disappointed. 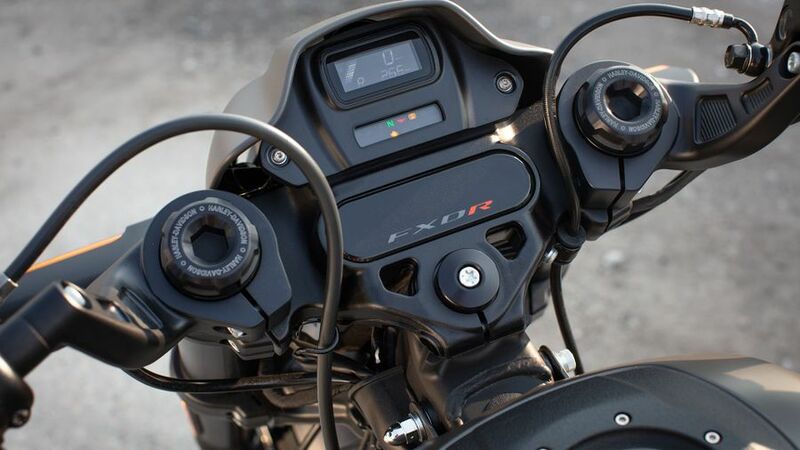 Sadly, from the moment you first climb on board, those first impressions of the FXDR, start to go south. The solo seat is low, firm and limits movement, the reach forward to the straight-ish drag bars further and more extreme than you expect and that combined with semi-forward ‘highway’ footpegs puts the rider in a more than awkward curl with most of your weight placed on your backside. All of that makes manouvering the long FXDR difficult while any kind of road imperfections jars your spine. Pillions, meanwhile, are only possible if you buy and added cost kit. 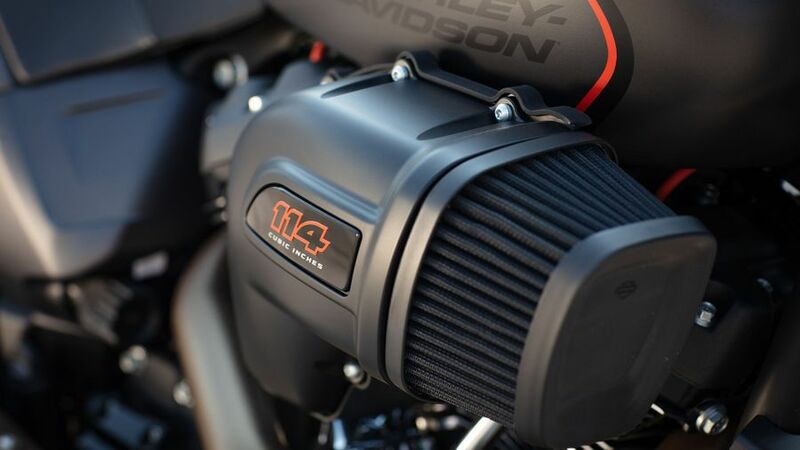 The new exhaust and intake (that massive airbox on the right-hand side which gets in the way of your knee) helps makes the FXDR version of Harley’s latest ‘Milwaukee Eight’, 114ci (1868cc) the most potent yet, while its twin four-piston brakes are among Harley’s best, too. 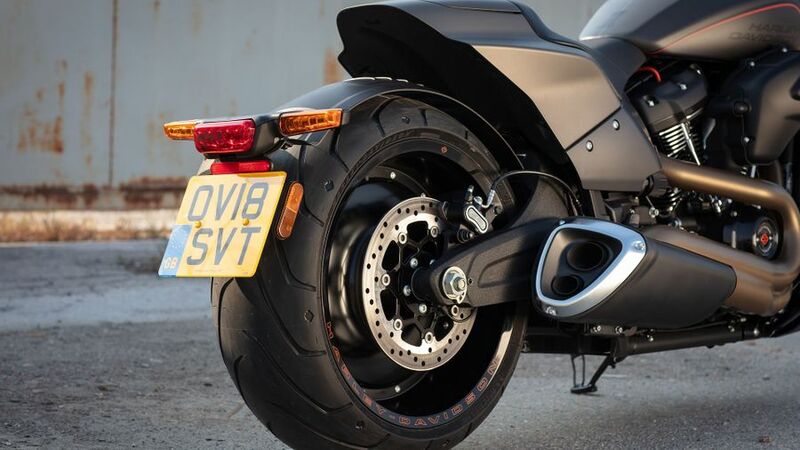 Trouble is, although 5bhp up and a fruity and decent performer, that still adds up to ‘only’ 95bhp which is simply embarrassed by the likes of rival ‘hot rods’ such as Ducati’s 160bhp Diavel or Yamaha’s now defunct 197bhp V-MAX and doesn’t really live up to Harley’s performance hype – especially when you take it’s whopping price tag into consideration. 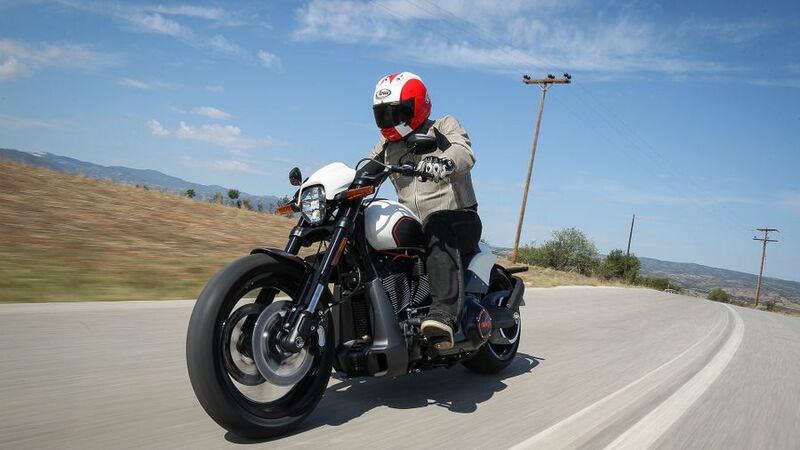 Although intended more as a straight line blaster than an A-road carver, as manifested by its fat, drag bike style 240-section rear tyre and kicked-out forks, Harley also say the FXDR is some kind of performance machine – why else would it have semi-decent inverted forks? The reality, though, is that, while it can be hustled up to a point, and is something that requires real physical effort, it’s so long and wide it’s reluctant to turn and the riding position and limited suspension travel means the ride can be harsh as well. Yes, it’s better than the even more drag bike styled Breakout, but, by comparison, Harley’s own Fat Bob will run rings around it. Although the ‘Milwaukee Eight’ engine has been tweaked slightly for the FXDR it’s still fairly understressed in producing just 95bhp and the base version, which debuted two years ago in Harley’s touring family of bikes, hasn’t yet caused any concerns. Chassis-wise, again, the basic Softail frame is the same as in the rest of the Softail family as introduced a year ago; the remainder of the cycle parts are solid and good quality and there’s little by way of complicated electronics or creature comforts to go wrong. Overall, we have no reason for concern. No news or surprises here. 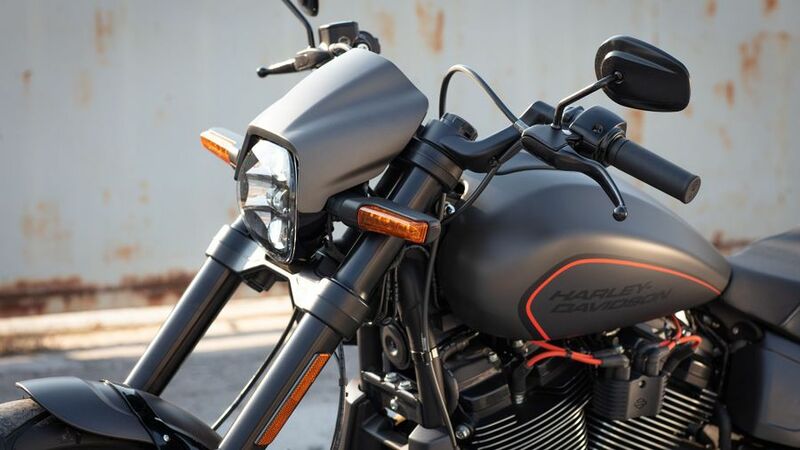 Harley, like most of the manor motorcycle manufacturers, offer a standard, two-year, unlimited mileage manufacturer-backed parts and labour warranty – although it should be said that increasing numbers are beginning to offer three-year ones. Servicing-wise, Harley’s ‘big twins’ are due their first service at 1000miles and all others at 5000 miles and as they’re fairly simple mechanically aren’t particularly difficult (or expensive) to do. 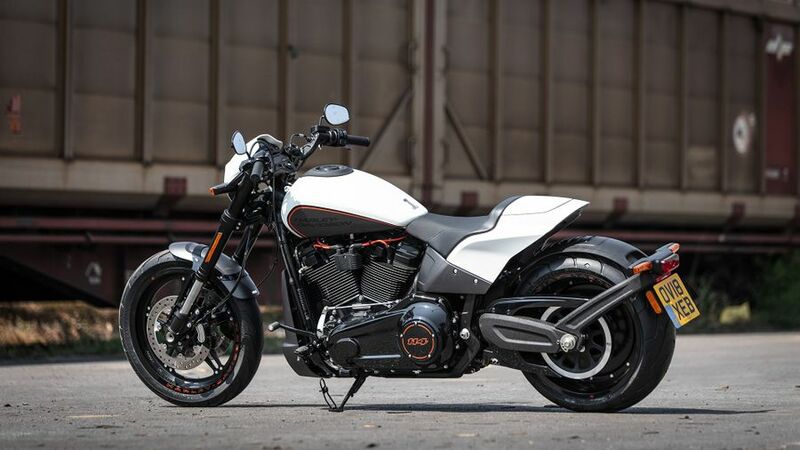 Yes, the FXDR is intended as a fairly raw, minimalist ‘hot rod’, so you’d expect it to be quite Spartan. And yes, it does have quality suspension and brakes. But you are still left wondering what you’re getting for your £20K. Clocks are minimal, too, there’s no electronics or creature comforts and obviously no lavish bodywork or luggage, but we’d expect perhaps a few more performance goodies for our money and the lack of any pillion provision is criminal.